When Germans secretly tighten their bonds with Russians again, that can't mean anything good for Europe and the rest of the world. The "Mind Trap" pact was signed in Berlin of 2013, behind the sealed bunker doors on Wilhelmstrasse. Luckily, we managed to sneak in a Polish mole; an inside conspirator, through whom we try to keep things in control. Europe may take another breath. Officials signing the new world order here, all awarded by Iron X's for their merits: Field Marshal Eggert (divisions Highscore, Monster and Nothing) , General artillery Eggebrecht (divisions of The Tangled Lines, Government Flu, Vitamin X) , General infantry and propaganda minister Stronzik (divisions Highscore, Short Fuse) and the Kremlin representative tovarishch Generalissimus Chkhikvadze (division Rearranged). 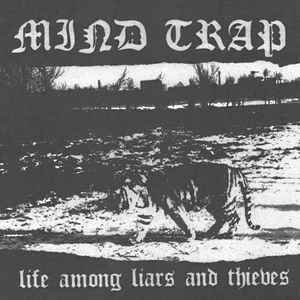 Mind Trap is a total vegan straight edge brigade that sound harder than a tiger tank engine, more frigtening than a katyusha and will come over you faster and even more destructive than the blitzkrieg ever could. " 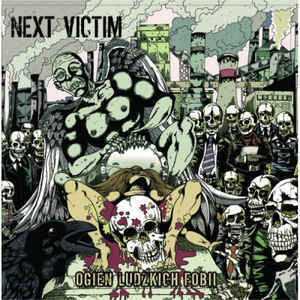 Life among liars and thieves" 7 "contains six blasts and it's coming out in a cooperation between Refuse Records and SFR Records underground headquarters.